These are all common complaints from Uptown community members about a 25,000-square-foot development in Hillcrest that consists of four parcels and two addresses — one at 3840 Sixth Ave. and one at 3833 Fifth Ave. — that fall between University and Robinson avenues. 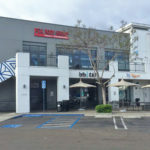 These two connected and very dilapidated properties are finally on the market with The Savory Group – Berkshire Hathaway, a Downtown San Diego listing agent that has set a cool $12 million price tag on the property along with an Oct. 3 offer deadline for prospective buyers. For over 30 years, the properties, also known as Pernicano’s and Casa di Baffi, have been the bane of Hillcrest. But that wasn’t always the case. George Pernicano, a gregarious Detroit-born Italian with a waxed handlebar moustache and his chain of 12 family restaurants were the talk of the town back in his heyday. Born in 1917, Pernicano moved to San Diego in 1946 after the war, bringing pizza to the region for the first time. His first upscale restaurant, Casa di Baffi (translated as House of Moustache), opened in 1960 in Hillcrest and quickly became a food and entertainment destination. A long list of celebrities and professional athletes, notably the Chargers, were also regulars; Pernicano was not only one of their biggest fans, he was also a minority owner who had helped bring the team to San Diego. 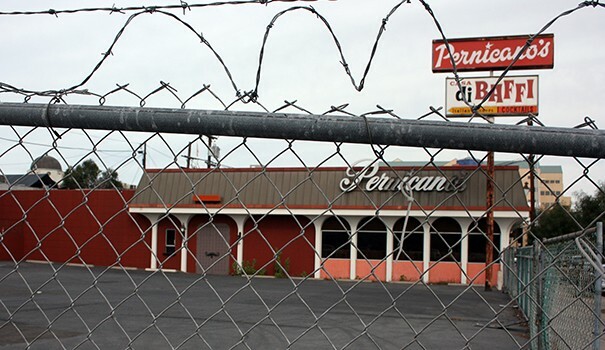 After decades of success, Pernicano closed the Hillcrest restaurants down in 1985, though three other locations around the county are still in operation today. Over the years, despite being boarded up and surrounded by a chain-link fence and barbed wire, the property has been broken into for its copper wire, the building and its signs have been repeatedly vandalized and tagged with graffiti, and its outside accessories — ornate door lamps, classic neon lighting and the iconic moustache door handles — have been stolen or smashed beyond repair. Residents, business owners and even those who call Hillcrest their “second home” have been weighing in on the abandoned property for decades. In 2010, first-term City Councilmember Todd Gloria worked with various community groups in a successful attempt to get public access to the fenced-off parking lot. That summer, the lot was leased to a parking agency, freshly paved and lined, and 36 new parking spaces opened to the public to great fanfare. 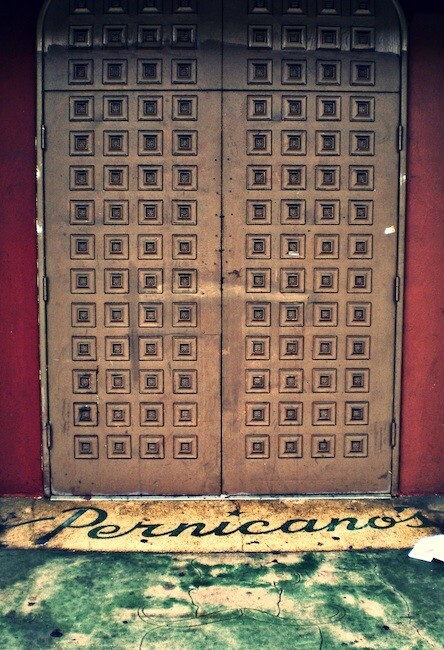 A rare view into the inside of Pernicano’s from the Sixth Avenue side. Since then, the future of the property has been a constant topic, but it seemed the family would never budge. According to Jeannine Savory, potential brokers were interviewed by the family for over a year, with The Savory Group selected from a field of 15 different agencies just two months ago. Savory believes they were chosen because they did their due diligence not only on the property, but the surrounding community as well. George’s sons — identical twin brothers Gary and Larry Pernicano — are now in charge of the family’s affairs. Savory said they want to do right by the Hillcrest community, a place they have been fond of their entire lives. What will encourage locals even more is the website Savory’s team put together to market the property. 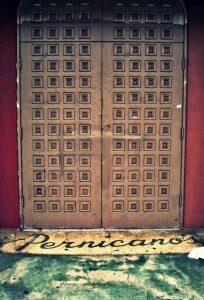 Called UptownPernicanos.com, it is every potential buyer’s introduction to the Hillcrest community, its development needs and the Pernicano legacy. “We wanted to make whoever is looking at this property was as familiar as possible with what the community is going through with the [update to the community plan’s] design element and also what the needs are,” Savory said. The website also puts any rumors to rest that the Pernicanos sat on the property due to the growing prominence of the LGBT community in the area. Three videos on the website explain in detail what a potential buyer needs to know about the thriving and culturally rich neighborhood that is Hillcrest. “[The development should be] a place that is inviting, safe, open to all and in a word, extraordinary,” said narrator, managing agent for The Savory Group, and Hillcrest resident, Nelson White in one of the videos. 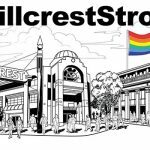 “Hillcrest is a place where people of all beliefs and lifestyles live together in harmony and mutual respect,” White said in another. Without a historical designation or any entitlements endowed on the property, Savory said the developers will basically have a “clean slate” and could do whatever they wish, although she said the historical nature of the building would be something for them to keep in mind in their design phase. Any new development would also have to follow the guidelines of the pending Uptown Community Plan update, Savory said, despite the fact that it is not yet approved. Once Savory and her team get submissions Oct. 3 and see what potential developers have in mind, they will present them to community planners and other community groups and get a consensus. “It’s got to make sense to the developer but we want to find a way where this works for everybody as best as we can,” she said. As for the Pernicanos, Savory said they hope to leave behind some type of legacy at the future property, whether through a plaque or some sort of dedication, but their heart really is with Hillcrest itself. 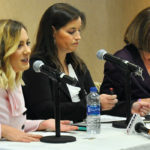 “They want to contribute as much as possible in securing the buyer that has the best chance of coming up with a design that the community will appreciate or benefit from,” she said. What should happen with Pernicanos? —Meldon Merrill, a San Diego resident since 1960, a Hillcrest resident since 1993 and board member of Lambda Archives. Merrill never dined in the restaurant, but is quite familiar with its various states of being. 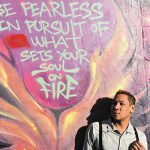 —Local resident and avid photographer Greg May has long been concerned with the historical aspects of the Uptown neighborhoods and not only volunteers time with SOHO and the Hillcrest History Guild, he documents photographs of the neighborhoods on his Facebook page: Gregory’s San Diego. —Local resident and longtime GSDBA staffer Eric Carroll. —Luke Terpstra, Hillcrest Town Council chair and longtime resident. “Think big … imagine incorporating the space underneath both of Pernicano’s properties along with the Rite Aid parking lot into a large underground parking facility with several access points including one from Highway 163. Rite Aid lot would retain disabled parking near the door, but the rest of the asphalt would be transformed into a community park or plaza. “Across Robinson Avenue, a raised sidewalk would lead to another park and a mid-to high-rise tower of affordable housing designed with floors for seniors and service people who will commit to using public transportation. The penthouse will feature fabulous views and a rooftop garden for all to enjoy. At ground level Hillcrest’s finest restaurant will be featured near the corner of Sixth & Robinson with an entrance at the front door and (of course) valet parking. —Nancy Moors and Ann Garwood, publishers of HillQuest.com, in HillQuest’s print edition #9, 2012. Moors and Garwood are also founders of the Hillcrest History Guild. —Eddie Reynoso, communications and marketing director for MO’s Universe and member of the Hillcrest Business Association. —Benjamin Nicholls, interim executive director of the Hillcrest Business Association. Nicholls also previously served as executive director of the HBA from 2007 – 2013. “I am excited about the Pernicano’s property being for sale,” Gloria said via email. “I hope that it will soon be transformed into something that activates the site and reflects the character of Hillcrest as well as the former glory of Pernicano’s at its peak. “I have heard community preferences for a hotel or a mixed-use property, and my request for potential buyers is simply to work closely with Hillcrest neighbors when developing their proposals. 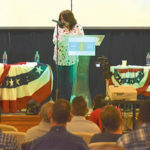 This site has been the source of complaints over the years and it has the potential for being a hallmark project of great benefit to the area,” Gloria said. For more information about The Savory Group’s marketing of this property, visit uptownpernicanos.com. An empty parking garage like the one found in North Park? I’m thinking along the lines of a transit center. 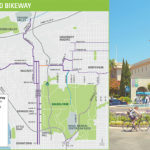 If this city would get serious about transit and move into the 21st century, this would be accessible not only from the freeways, but also have direct connections to the airport parking lots, downtown, Balboa Park, North Park, the bike share routes, and International Restaurant Row. This would not only alleviate the traffic congestion in the stagnant air of the 163 through the park, but make a viable option to those willing to commute in and out of San Diego and its urban communities for both work and pleasure. Airports have become successful shopping and dining destinations. The prospects of a new development on this site is a truly exciting opportunity for a developer and architect to create an award winning walkable neighborhood environment of mixed use property that incorporates the desperate need for underground parking, afforable housing (particularly for a rapidly growing senior and veteran citizens in the community), an adjacent drought friendly garden or patio area with a display of public art where visitors and residents alike are welcomed and enticed to frequent conveniently and all things that meet the needs of those who visit, live, do business and/or work in historically significant Hillcrest. In serving all these needs, the City of San Diego stands to increase tax revenues, provide more jobs and new business opportunities while simultaneously meeting the demands, essential needs and uses of the citizens of San Diego and tourists alike. In close proximity to the the jewel of San Diego, Balboa Park, and its museums, world renowned zoo and the bay, hospitals, doctor and medical offices, a bounty of hip restaurants, shopping to satisfy most tastes and so much more, Hillcrest is in line to become the Gaslamp of Uptown! Let’s hope we and the buyers, developers and architects don’t blow this incredible moment of possibilities! PS For the record: William (Bill) E. Kelly is a long time San Diego Hillcrest resident and the chair of the San Diego City Senior Affairs Advisory Board. The website also puts any rumors to rest that the Pernicanos sat on the property due to the growing prominence of the LGBT community in the area. Where exactly does the website discuss this rumor? I Can find no reason why the property was abandoned on the website. Watch the videos. Very pro-LGBT. Great article centered on the facts of the property and the Pernicano family. I grew up in Hillcrest and visited the Pizza House numerous times as it truly was THE destination in Hillcrest back in the 60s and 70s. I am glad you also set the record straight about George Pericano and his family’s supposed anti-Gay bias that has been circulating around by misinformed and hateful reverse Gay bigots for years. There is absolutely no reason to keep harping about the past conditions of the long idle property, and look forward to a successful commercial development that brings business to, and also meets changed community needs for Hillcrest’s future. Great Job Morgan for setting things straight. The link above is the 2012 HillQuest Urban Guide story image. It shows the footprint of the two Pernicano restaurant properties, the Rite Aid parking lot and the east end of Robinson Avenue to up to Sixth Avenue. Just imagine if that space could be used for an underground parking facility with several access points including one from the Highway 163 exit. Rite Aid would retain disabled parking near their front door and move the rest below grade. With parking underground, the current Rite Aid asphalt could be transformed into a much-needed community park or plaza. What if the city got behind a plan like this? Hillcrest has patiently waited decades for the Pernicano properties to be transformed, and this is a wonderful one-time opportunity for a truly special project…hopefully one that would include affordable housing for seniors and the local work force…topped with a pricey penthouse featuring spectacular views to La Jolla, Point Loma, Mexico and beyond. I hope a successful partnership will create a win-win development for the neighborhood. It’s long overdue. I would like to see the 5th Ave building’s facade restored. There’s some awesome architecture underneath that metal facade, I just know it! Not a parking garage! This is Hillcrest’s main block. What ever is there should be pretty! Whatever they build, can have the parking underneath! 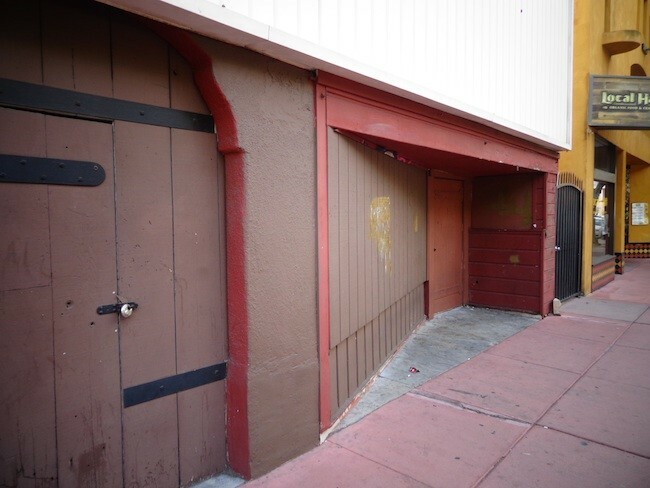 The Pernicano’s building qualifies under the Modernism Policy, Historical Resources Board, City of San Diego for designation under Criterion C, architecture. The future permit applicants will undergo the 45-year review policy, which will trigger historical review and the permit applicant will be directed to prepare a report that meets City Standards. The only way to avoid such a report would be to prove the design of the permit meets “The Secretary of the Interior’s Standards for the Treatment of HIstorical Properties.” This means the architecturally defining elements of the building would need to be incorporated into the project design. Moreover, the building might also qualify for George Pernicano’s association with significant historical figures involved in shaping the City of San Diego (Criteria A and/or B). That’s quite an asking price at nearly $500 / sq ft. To put that in perspective, land downtown in 2005 at the height of the biggest real estate bubble in history was going for $250 / sq ft or less. What would a buyer have to put on that land to justify that price and what are the odds of it getting planning approval? 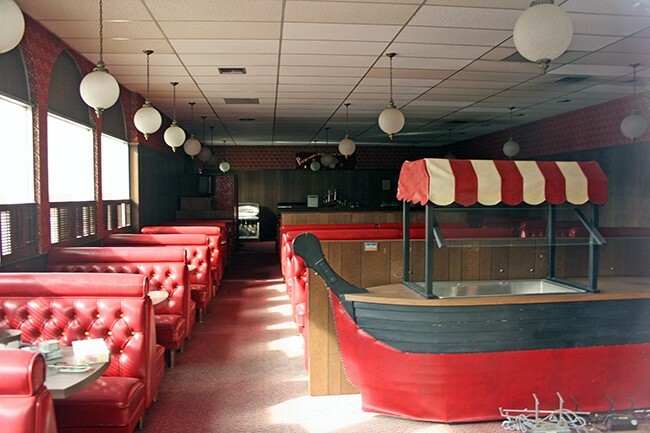 Despite their current state of disrepair, the restaurants are historic. There are too few reminders of the history of our neighborhoods. I’ve been in the area less than 15 years, so have only known the restaurants in their blighted state – but even so I’ve always enjoyed seeing them there – time travelers from a past era. I think someone should restore the restaurants as much as practical and re-open them. As Gregory Mays points out, the buildings are historic. At the very least, restore and keep the sign!